I use your form to attend my customer my seminars. 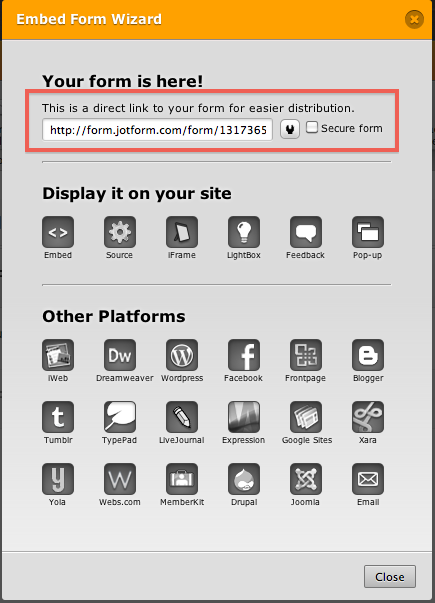 You could add a link to your website which will navigate your users to your form. This seems the easiest way to me. 2. Copy the given link to your website or anyplace like Twitter, Facebook, Google +. Would this solve your question? may I know what application did you use for this?? If you have more questions or issue, feel free contact us.